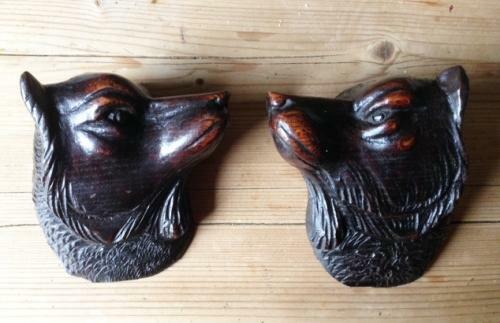 Pair of naive 19th Cent Carved Treen Dogs Heads. These were known to have originally formed part of a fireplace. Look great hung on a plain coloured wall.